Simple ingredients, complex taste: Big Jim's in a nutshell. A “hole in the wall” is a popular, unusually affectionate term for a little independent restaurant that provides customers with spectacular food in a small place. You’ll be hard pressed to find a better definition of a hole in the wall than Big Jim’s in The Run, a classic Italian restaurant in “The Run” of Greenfield. The main dining room looks like you just stepped into your grandma’s house and sat down for a family dinner, and that’s part of what gives Big Jim’s the homestyle atmosphere. The other part, naturally, is the impeccable homemade food. Everything at Big Jim’s is homemade, including the absolutely gigantic all-star of a meatball hoagie that they make. It’s pretty simple: “homemade meatballs, tomato sauce and melted mozzarella cheese, all piled on fresh italian bread.” Simple enough; just what you’d expect from a meatball hoagie. But you’ve never tasted this one. 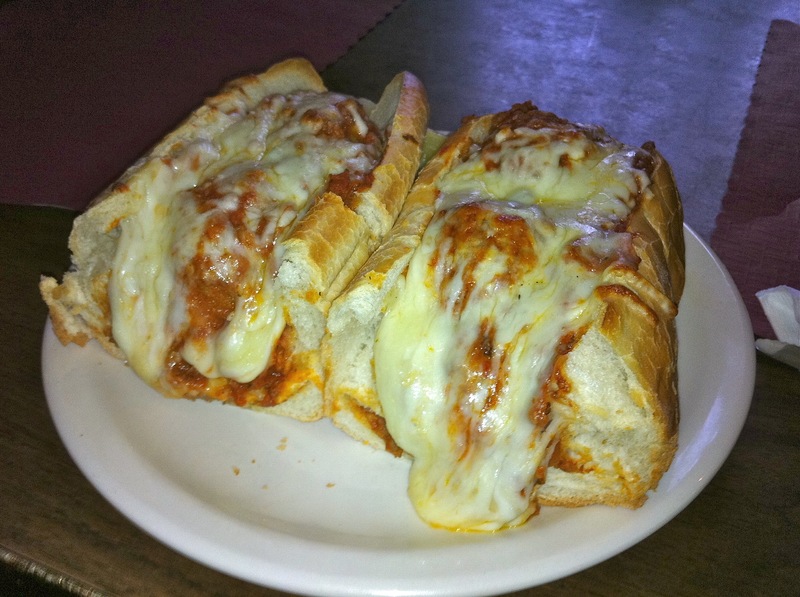 The sandwich is COVERED in the melted mozzarella, the tomato sauce isn’t too heavy or too light, and the Italian bread is crispy and firm while not being so rigid that the meatballs fall out, as can be the case with other hoagies. All the supporting ingredients play their respective roles, and very well at that. But there’s a reason that this is the meatball hoagie. The second you bite into one of these behemoth meatballs, you can tell that it’s homemade. It’s got a consistency that’s totally unique to Big Jim’s meatballs; it’s unlike any other meatball I’ve ever tasted. Whatever the cooks in the kitchen do to achieve this perfectly composed meatball, I hope they do it for the rest of their lives. It’s not like other homemade meatballs, where cooks can overuse garlic in an attempt for a unique flavor. Jim’s keeps the taste like a classic meatball: very hearty, but not to the point where it’s the consistency of a burger. They found the balance on each and every criterion of a good meatball: delicious classic taste, original consistency, and absolutely ludicrous size. Good luck finding any better than these. 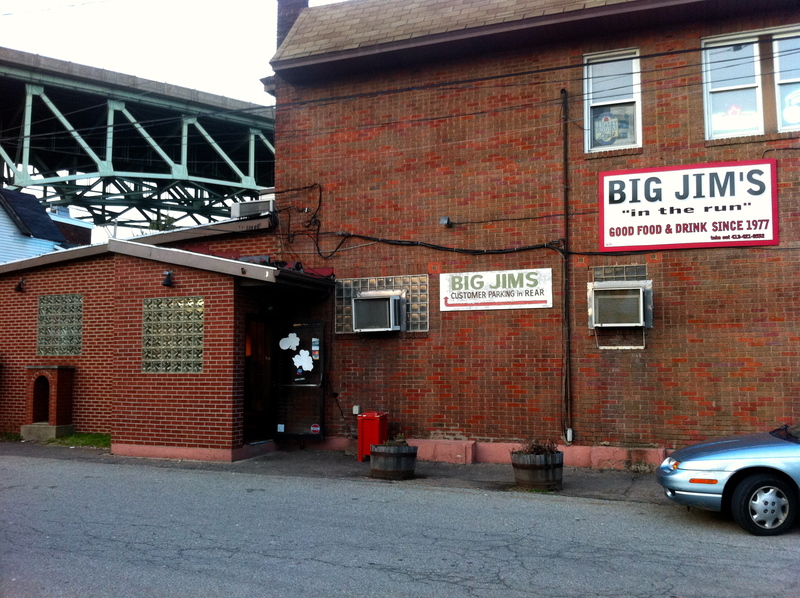 Big Jim's in The Run: truly a Pittsburgh classic. Another great aspect of Jim’s is the portion control (or should I say, lack of portion control.) Anything you order will have enough food to feed your entire family, but that shouldn’t hinder your selections. If the menu gives you the choice between half a sandwich and a whole, get the whole. I don’t care how hungry you are, if you start to eat the sandwich and only ordered half, you’ll hate yourself for not getting the whole. Because everything at Big Jim’s is worth getting as much as possible of, and if you have extras, well, tomorrow’s lunch will be that much better. Oh my gosh, that sandwich looks phenomenal! Thanks, Rachel! I’m glad you dig the sandwiches; this one was fantastic.